Trading options can make you money when done right. They can also destroy you financially when done wrong. How do you know how to make the right trades? It takes the right broker. Read our in-depth guide on the topic to help you find the broker that is right for you. First, let's look at options and how they work. 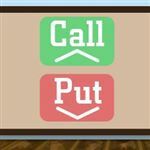 Options are contracts that give you the right to buy or sell stocks. They operate as a derivative security. In other words, the option's price depends on the price of the underlying stock. There are two sides to the contract: the buyer and the seller. You can be on either side of the coin. Buying options gives you rights. Selling options gives you an obligation. Contracts can expire worthless whether you buy or sell. If the stock doesn't perform as predicted, you lose your premium if you are a buyer. If you are a seller, you may walk away with the premium in your pocket. Buying a call is similar to putting a deposit down for the right to buy a stock if the price is right. Buying a put is more like an insurance policy. It allows you to sell your stock at the lowest price you are comfortable accepting. It's a safer version of a stop loss order on a stock you own. As you get comfortable with options, you can start writing or selling them too. They may help you make greater gains, but the potential for loss is big too. Oftentimes, when buying or writing options, you won't own the underlying stock. You have the potential to do so, though, if the price is right. It all sounds so confusing. Why would you invest in options when you could just buy the stock outright? You don't even own anything but a right when you buy an option. They do have their advantages, though. 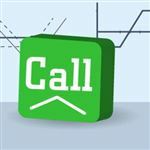 Cost savings: Options can mimic a stock position without the large cash outlay. For example, if you want to buy 100 shares of ABC stock that's trading at $20, you'd pay $2,000. Alternatively, you could buy a call with a strike price of $20 for a premium of $5. The call option would only cost $500. You could hold the option until expiration. If the stock price exceeds $20, you can buy it at $20 and sell it right away for a profit. If it's below $20, you lose your premium, but your loss may be less than if you owned the stock outright. Note: Some brokers charge per trade plus a flat commission fee. Others, such as Interactive Brokers, don't charge the flat commission fee. Instead, they charge a commission based on the volume traded. Inquire about all fees before choosing a broker. Protection: Puts, in particular, are like an insurance policy. They set the lowest price you're willing to accept for a stock. Even though you pay a premium, you know the worst-case scenario. With a stop loss order on a stock you own, you don't know the worst case. Bad news about a company overnight can cause a stuck to plummet. It can open at a much lower price than your stop loss order. If this happens, you could lose more than you planned. Playing volatility: You can make money on a stock's volatility, including the downward trends. If you owned a stock outright, you would only want it to appreciate. Certain options, however, make you money if the stock depreciates. Take, for example, a written put. You want the stock price to be lower than the strike price at expiration. The option expires worthless and you keep the premium. If you owned the stock itself, you'd have sustained a serious loss. Once you decide to try options, you have to find a broker. You'll find numerous choices online. We help you focus on the important factors. Remember, you want a broker that you trust. You'll need them for advice and quick action. User-friendly trading platform: Not all brokers are created equal. In fact, many brokers throw options on as an "add-on." Their focus isn't options. This means you'll get less support. We suggest you focus on brokers who mainly trade options. These brokers usually have a more user-friendly trading platform because it's mainly for options. They also often provide more opportunities for research and advice. Did you know: TD Ameritrade's thinkorswim platform provides access to research reports and various educational platforms. You can gain access to important data in the 'Options Statistics' to help you make informed decisions. The trading platform is for the novice trader all the way through experts. Analyze complex strategies before implementing them. It also allows you to practice with 'Papermoney,' before trying the real thing. Competitive pricing/Low account minimums: Your focus shouldn't be on fees, but it should play a role. In other words, don't overpay, but don't focus solely on the fees. Look at the minimum balance requirements, closely.. This could cost you the most in the end if you don't meet the minimum requirements. Options trading isn't free. You'll pay premiums, no matter where you go. But you'll also pay commissions. You may also pay a per contract fee. Focus on brokers that don't have many restrictions or make their fees so complicated that you don't understand. Note: Pay close attention to the commissions. Don't get caught up in the per contract fee. $0.65 per contract may like peanuts, even if you trade a few contracts. However, most options brokers charge an options base fee per option too. When you have base fees between $5-$8 it eats into your profits. Take this into consideration when looking for the right options broker. Don't get fooled by the low 'per contract' rate. Read the fine print. Understand the options base fee, along with any other fees, such as fees when the option is exercised/assigned. Good customer service: Focus on the broker's response time and type of communication they offer. Are you the type who prefers phone contact? Or are you okay with email communication? This is important because each broker operates differently. Also, pay close attention to how often customer service is available. Are you the type who makes investment decisions late at night? You'll need around-the-clock support then. You'll also want to look for brokers that offer online courses, webinars, and personal advice. Remember, trading options is confusing; the more support you get, the better. Here are the top options brokers to consider. Ally Invest offers a basic platform. It works well for investors who understand options but don't trade them frequently. They also don't offer complicated trading options. That's why we chose it for the investor with a basic understanding and who doesn't want to make complicated trades. Something we love is that every investor with an active account at Ally gets access to the trading platform. The downside, however, is the platform is basic, which might not work well for the advanced trader. A feature we love, though, is the community forums. Have you ever wanted to spy on someone else's trades? Well, you can with Ally. Just by "friending" fellow investors, you can see what trades they make. You can then do your own research and see if those trades make sense for you. You can also get feedback from others and get real-time information on the top options. Fidelity offers some of the most conclusive research available in the options market. If reading isn't your thing, they also host webinars and courses for beginning investors. You can do this all online, from the comfort of your own home. Fidelity's platform is user-friendly, and they have a mobile app too. If you plan to handle investments on the go, this can be a great advantage for you. Fidelity offers several methods of communication, including phone and email. They also offer live chat during certain hours. The downside is that you may have limited use of their vast tools. They reserve access to the very active traders. At a minimum, 36 trades within one year is necessary to gain advanced access to the trading platform. If you don't trade often or are a beginner, you may want to consider one of our other top picks. Experienced investors that conduct borderline professional trading volumes should consider TradeStation. Previously, it was a platform strictly for professional investors. Today, however, it's open to any active traders looking for sophisticated tools and a plethora of historical data. TradeStation has a $5,000 minimum balance requirement, so make sure you are serious about trading before joining. The good news, however, is they don't charge miscellaneous fees for software, premium tools or real-time data. We appreciate not only the sophisticated desktop platform, but also the mirror image platform on their mobile app. Investors on the go can continually trade and stay up-to-date on their accounts no matter where they go. Tip: The very serious investor may want to consider Interactive Brokers. They do have a $10,000 minimum deposit, but they offer some of the lowest commissions in the options industry. Their trading platform is complex, but rich with information. Where they do lack, however, is in customer service. If you are a well-versed options trader and don't need a lot of hand holding, you could save significant money on fees with Interactive Brokers. Is an Online Options Broker Right for You? Online options brokers often save you money. Many broker-traded options cost you significantly more than just $4.95. On average, broker-traded transactions can cost as much as $25 per trade. While you shouldn't focus on the cost, it will play a role in your decision. Do you like to watch your account's performance? Does it overwhelm you to have easy access to your trades? The answer to this question will help you decide what's right for you. If knowing the market price of the underlying security helps you, online trading could be good. If it'll stress you out, it might not be right. Do you like to do your own research? Online trading involves a lot of self-work. You conduct your own research and make your own decisions. It's not to say you're on your own completely, but you must be self-sufficient. Will you stay actively involved in your trades? You may have to make spur of the moment decisions when a stock's price changes. Will you assign the contract or let it go? If you need someone to handle it for you, online trading may not be the right choice. Mutual funds: These baskets of investments are chosen by professionals. They provide diversity and oftentimes lower prices. They can help balance out the risk in any portfolio. Stocks: If you want to own a piece of a company, you'll have to buy the stock directly. You can trade them whenever you want. But they do take a larger investment and risk. ETFs: This is another basket of investments. ETFs can include hundreds of different stocks in the same fund. You can buy and sell them fast and choose which industry or market you want to track. Binary Options: If you want to try your hand at options, but don't want to get too advanced, consider binary options. These options have a max risk and max profit. You know your potential profit or loss going into the investment. Binary options are based on a 'yes' or 'no' answer. They are based on a prediction of the price of a security. If you believe the security will be above a specific price at a specific time, you buy the option. If you believe the security will be below a specific price at a specific time, you sell the option. The price of the binary option always falls between $0 and $100. Forex: While Forex options are technically options, they work a little differently. You can buy/sell calls and puts on the foreign exchange market. More commonly, though traders invest in Single Payment Options Trading. Rather than waiting for the expiration date and deciding whether to assign your option, you get an instant payout in your account when the specific scenario takes place. If it doesn't happen prior to expiration, you don't get a payout and you are out the amount of the premium. Why do you need approval to trade options? Plain and simple, options are risky. You shouldn't start trading them until you have experience trading stocks. Just how much experience you need varies by broker. Each broker has a different application process. How do you exercise an options contract? If you bought an option and want to exercise it, you'll complete an Exercise Notice. This triggers the broker to notify the seller. The process goes through the Options Clearing Corporation, which sees the trade through. 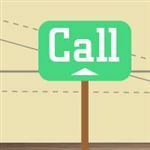 How fast can I sell a stock after a call assignment? Typically, you can sell the stock right away. However, you should check with your broker's policies. Some brokers require you to wait until stock settlement before selling the stock. Does a broker automatically assign in-the-money contracts? Make sure to ask your broker about their policy on this. Many brokers require you to submit specific instructions regarding your decision. But don't assume anything. Some brokers may just automatically assign a contract if it expires in-the-money. Your broker may have a threshold at which they automatically exercise the option. It could be as low as $.01 in-the-money, so make sure to pay attention. Do you need money to exercise an in-the-money call? Exercising an in-the-money call means you buy the stock at the strike price. Technically, you have a few days to come up with the money. Stocks usually settle within three business days. But if you plan to sell the stock right away, you can sell to close the option. If, however, you plan to keep the shares long-term, you'll need the cash to settle the transaction. Don't overlook the benefit of a discount broker. TD Ameritrade and Charles Schwab are two great examples. They give you access to the tools and research necessary to trade options from the comfort of your own home. Their prices are a fraction of the cost of a traditional broker, yet you don't have to sacrifice tools or services. You perform trades without the assistance of a broker. You do have to do your own research, but many of the platforms provide excellent tools to help you with your options trading decisions. However, Charles Schwab offers both broker-assisted and online trades. The broker-assisted trades cost $25 more per trade than independent online trades. An online trade costs $4.95 plus $0.65 per contract. If you choose the broker-assisted option, you'll pay an additional $25. Buying and selling options can be a great way to diversify your portfolio. It can also keep your assets liquid, allowing you to invest in other things. Knowing how and when to invest in options takes the right broker. Utilize today's technology and find the online broker that's right for you. You think a stock's price will increase, so you want in on that trade. What if you didn't have to fork over the entire amount of capital? What if you could pay a much smaller premium and still make money? Leave a comment about Best Options Broker? Wouldn't it be nice if someone could tell you which options to trade? If you had a crystal ball that showed you how an option would perform?